In a week when a study showed that over a third of all medicines can cause depression, it’s worth remembering that simple remedies from nature can lift your mood. Lavender is one of the very best that you can rely on. Run your fingers gently through a lavender plant that’s just come into bloom, and you will instantly relax with the characteristic, uplifting, restful scent. Inhaling lavender is proven to reduce levels of anxiety and stress. A few drops of lavender essential oil on a tissue placed near you at night or near your desk will calm the mind and nerves. Diluted in a carrier oil and rubbed into the skin, molecules of soothing lavender have been found to enter the bloodstream and deliver pain-reducing, mildly sedative benefits. Lavender oil in an intensive care unit or hospital ward can reduce the levels of body-disrupting sedation required. This is a simple and delightful way to feel the benefits of lavender. Take a clean and empty 100 ml bottle with a fine spray attachment. Add 15 ml of vodka, 80 ml of spring or other water, and 40 drops of lavender essential oil. Put the lid on the bottle and shake. Spray on yourself, around rooms or around your bed at night for instant, soothing relaxation. Do you have a favourite method of using lavender? 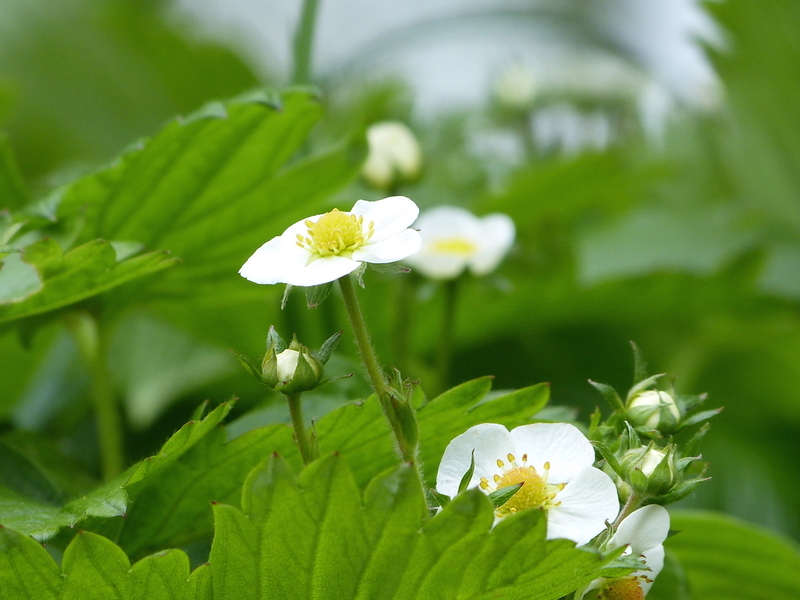 Spring is an ideal time to gather fresh young wild strawberry leaves… but actually, any time of year is pretty good. 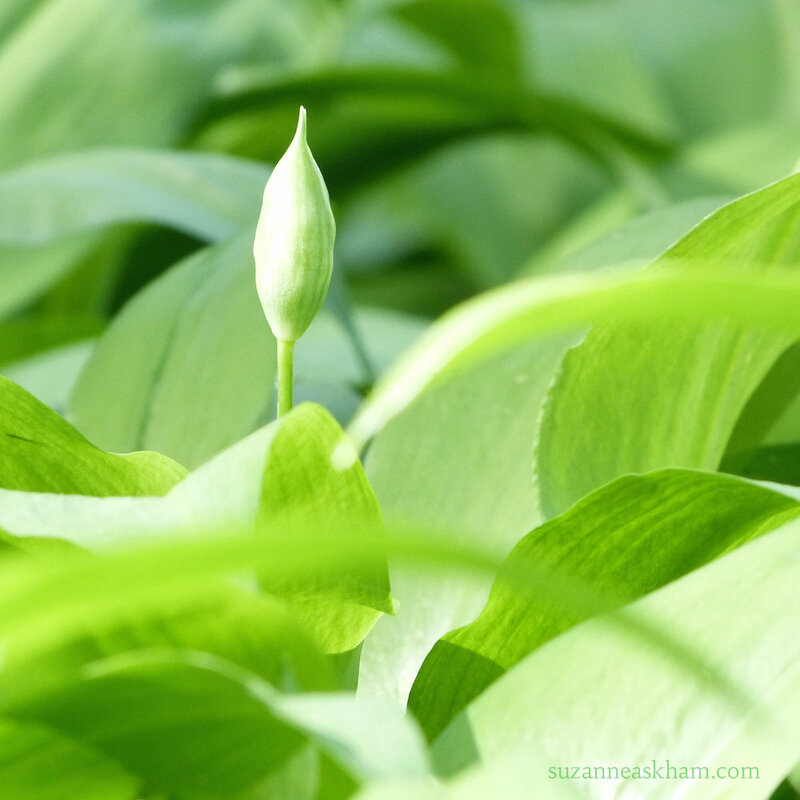 This easy-going plant is in leaf all year around. Fragaria viscera grows prolifically as ground cover in the Studio garden, on damp and partly shaded earth. It has even thrived in the gaps between paving stones. Many summers ago, my youngest used to sit naked, a Buddha baby, among the wild strawberry plants munching the tiny sweet crimson berries. I understood then that bliss is built into this little plant’s DNA. 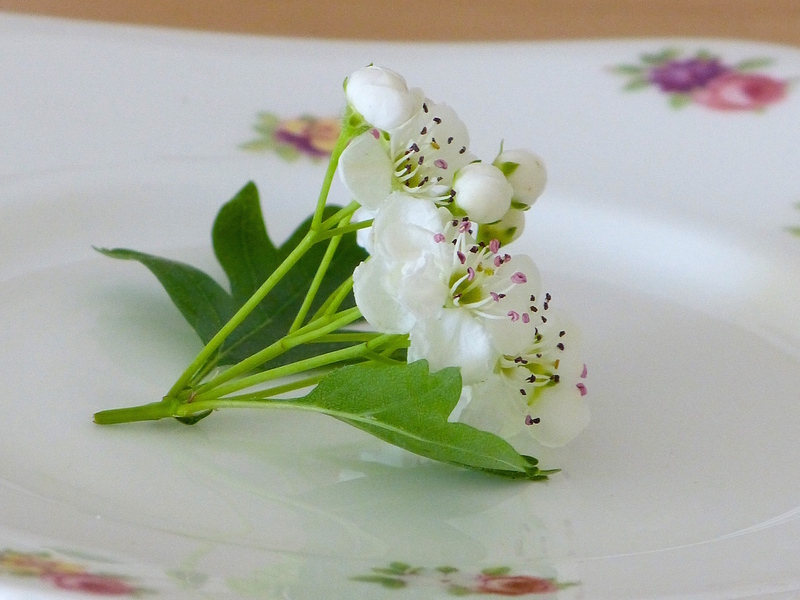 Wild strawberry tea is a good alternative to green tea. 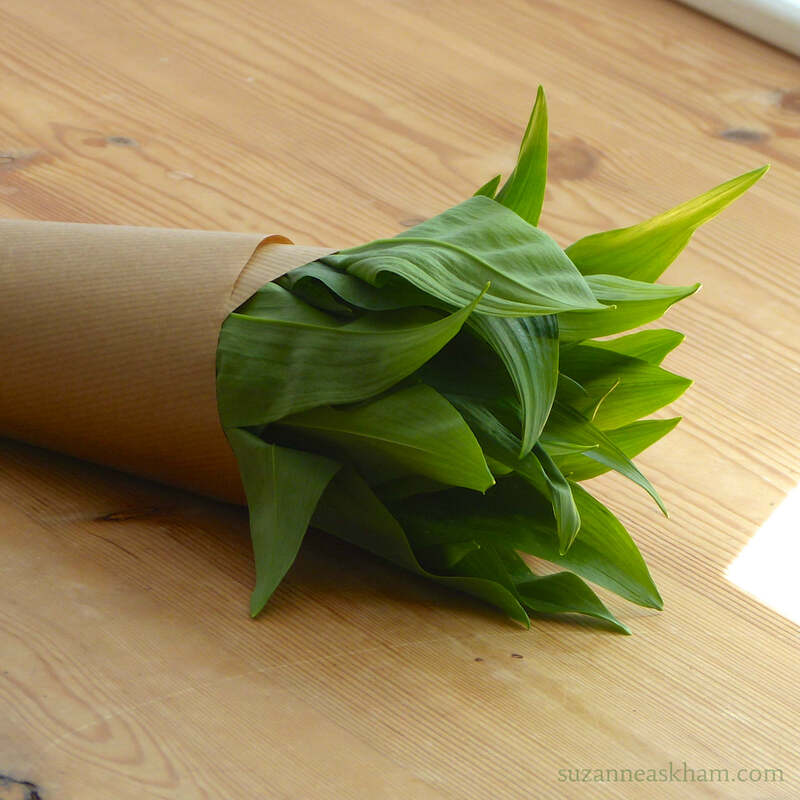 For one person: pick a small handful of green, healthy leaves. Wash if required. Chop roughly. 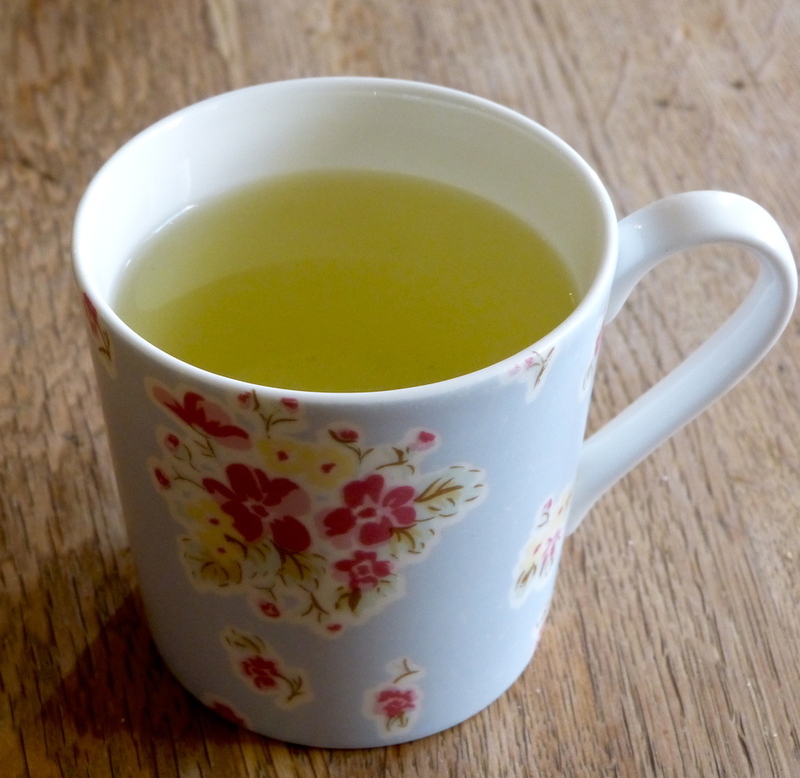 Place in an infuser in a pot or mug of boiled water for three to five minutes. Remove infuser. 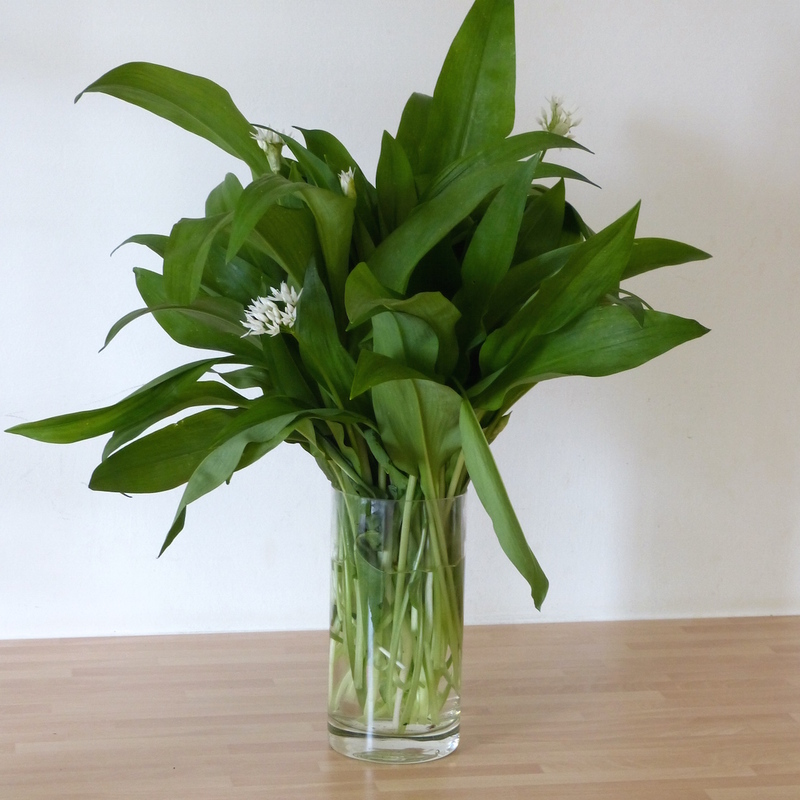 Breathe in the fresh green aroma, and enjoy! Alternatively, harvest larger quantities of the leaves and dry in a single layer on a tray in a warm, ventilated place. An airing cupboard or a dehydrator are both good. 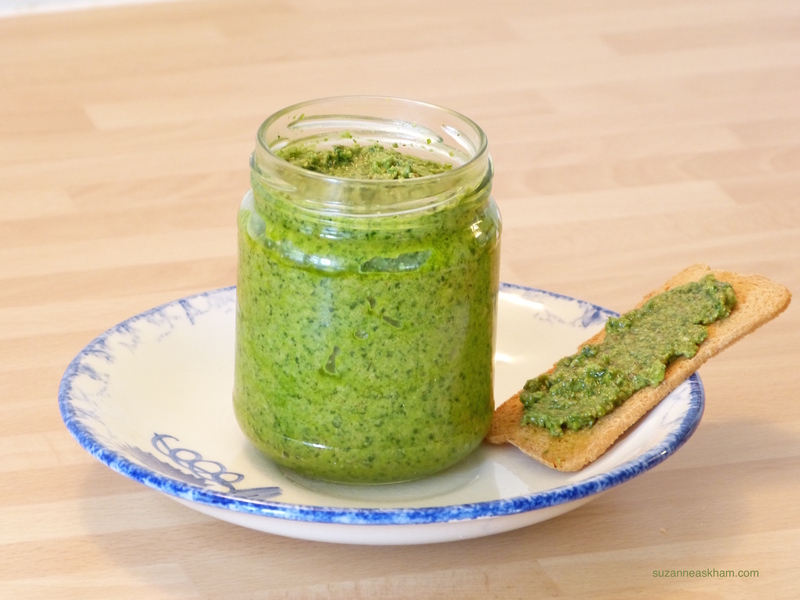 When crinkly-dry, store in an airtight jar in a cupboard away from light. The dried leaves are best drunk within one year. Use one teaspoon of dried strawberry leaf in an infuser per person. I did read recently that strawberry leaves should be infused either fresh or completely dried, not in-between. Apparently there is some mild toxicity present in the in-between state. 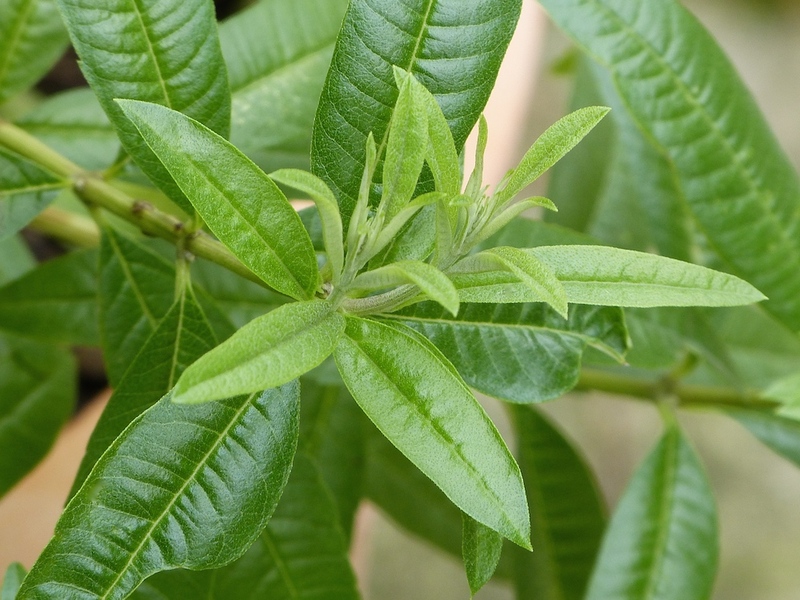 The leaves are rich in Vitamin C and also contain iron, calcium, and anti-oxidants. They are rich in tannins, giving them that ‘green tea’ dry taste in the mouth. They help to maintain a healthy digestive tract. 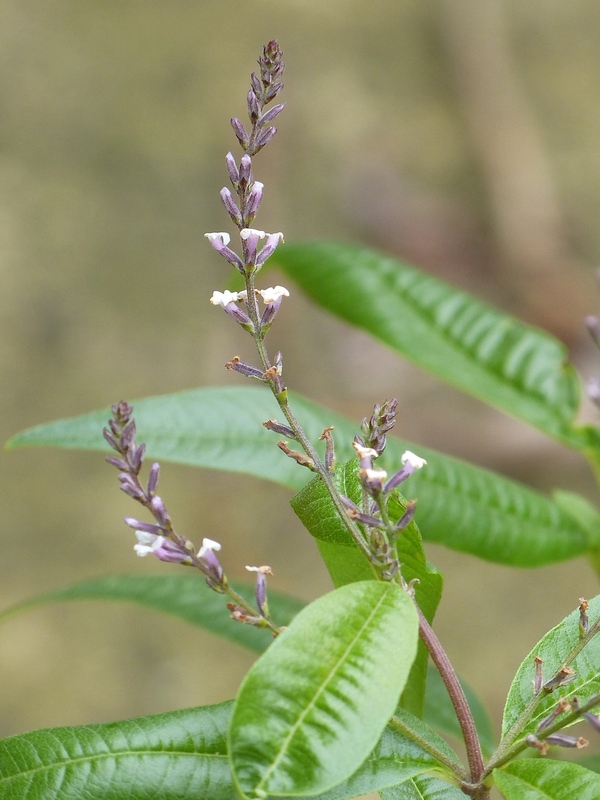 They are traditionally used to treat chronic diarrhoea, and also joint pain. Interestingly, they also contain ellagic acid, which reputedly inhibits cancer tumours. 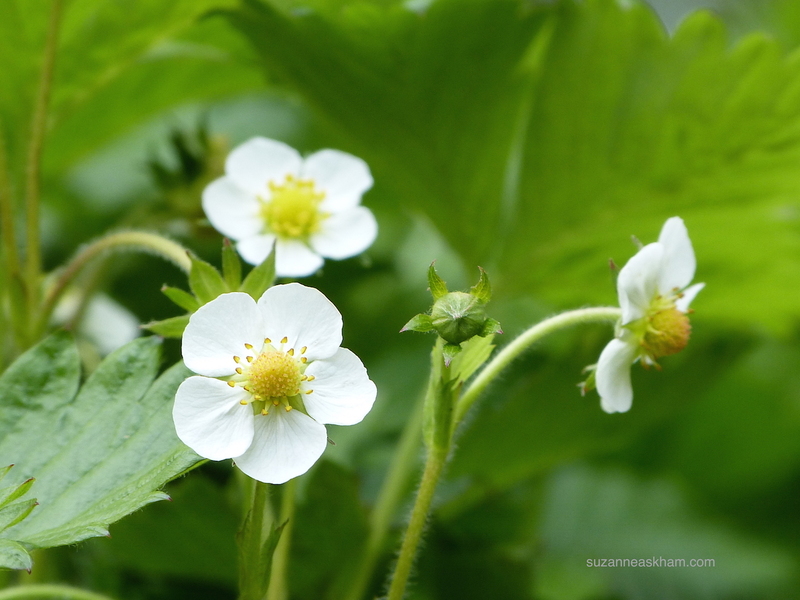 Very rarely there may be an allergic reaction to strawberry leaves: in cases of swelling or rash, stop drinking and consult a doctor. 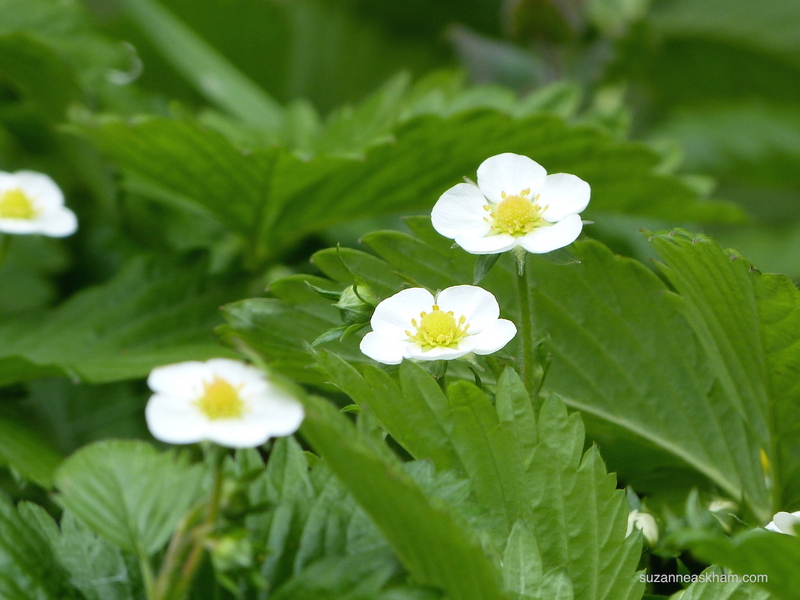 But for the vast majority of people, the wild strawberry is simply an easy-going and very helpful cottage garden plant, happy to grow almost anywhere, in return for some amazing culinary gifts. PS On Thursday 14th May there’ll be a herb morning at the Studio garden. 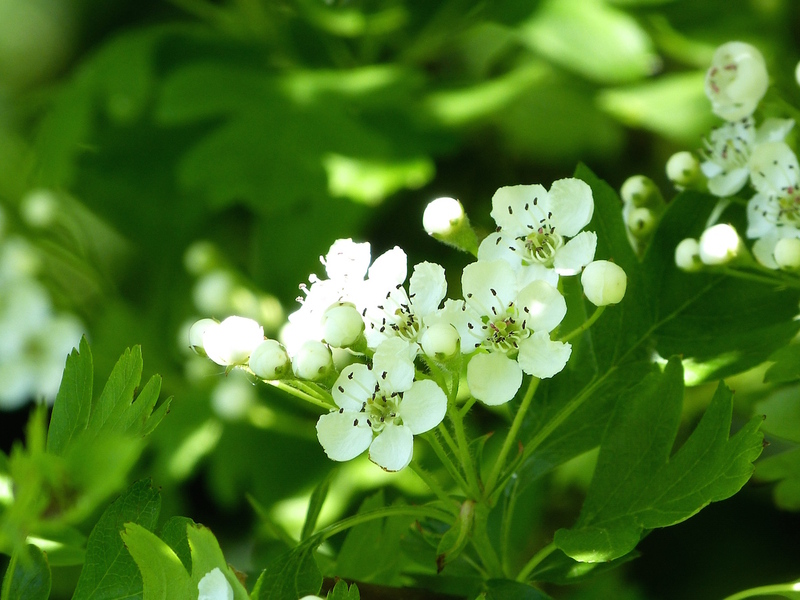 Come and gather wild strawberry leaves and other spring herbs to make delicious, healthy infusions. One of the best teachers I ever had was a medical herbalist called Nina Nissen. She taught me the herbalists’ belief that the plants you need tend to grow near you. 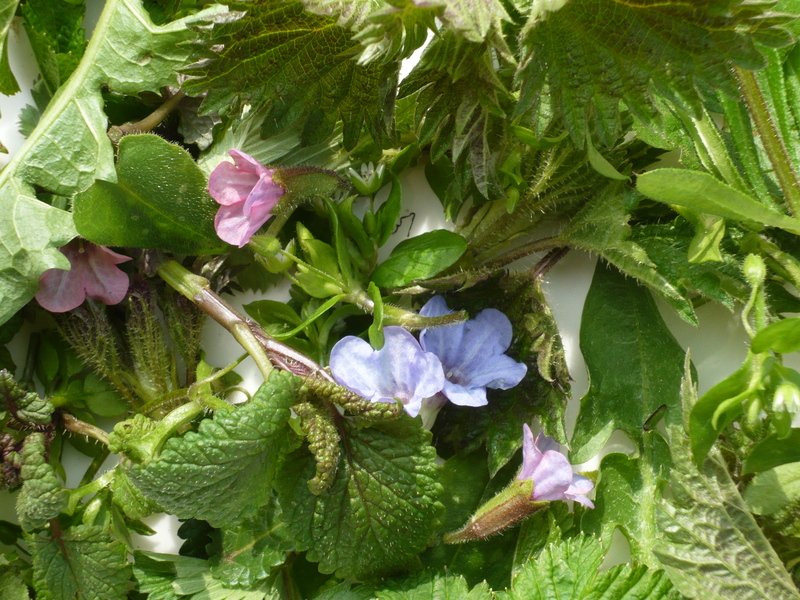 For example, nettles and cleavers appear in the spring, just in time to help our bodies to flush out winter congestions and give us a multi-vitamin and mineral boost. 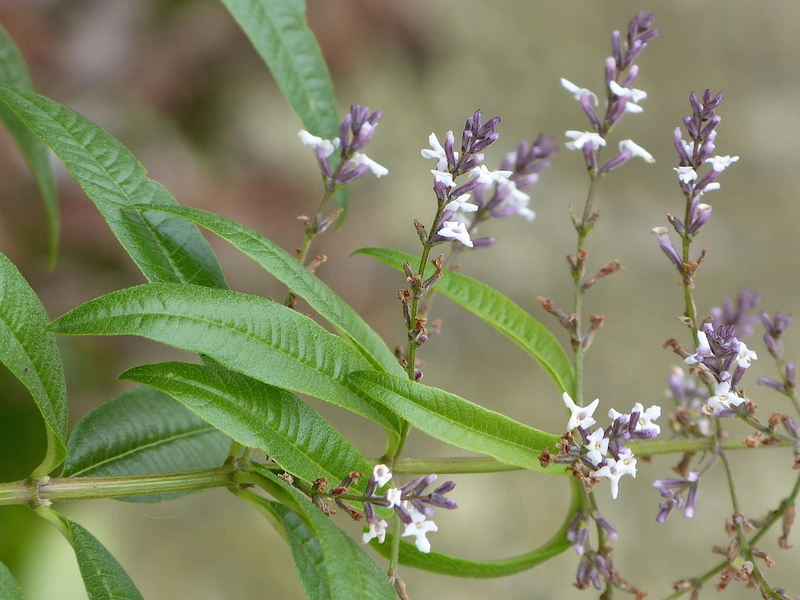 Among my bought herbs was a nervine: a relaxing herb that is particularly helpful for highly sensitive people who may become fearful or worried easily, and who, on balance, find it easier to stay at home. I could relate to these qualities. Although I love being with people, I find I also need long, quiet periods on my own. And I know that sometimes this stops me from doing things that would be helpful in my work. Steven, my partner, says that I am a hermit, and there is some truth in his comment. The plant for hermits goes by the name of Wood Betony, or Stachys officinalis. 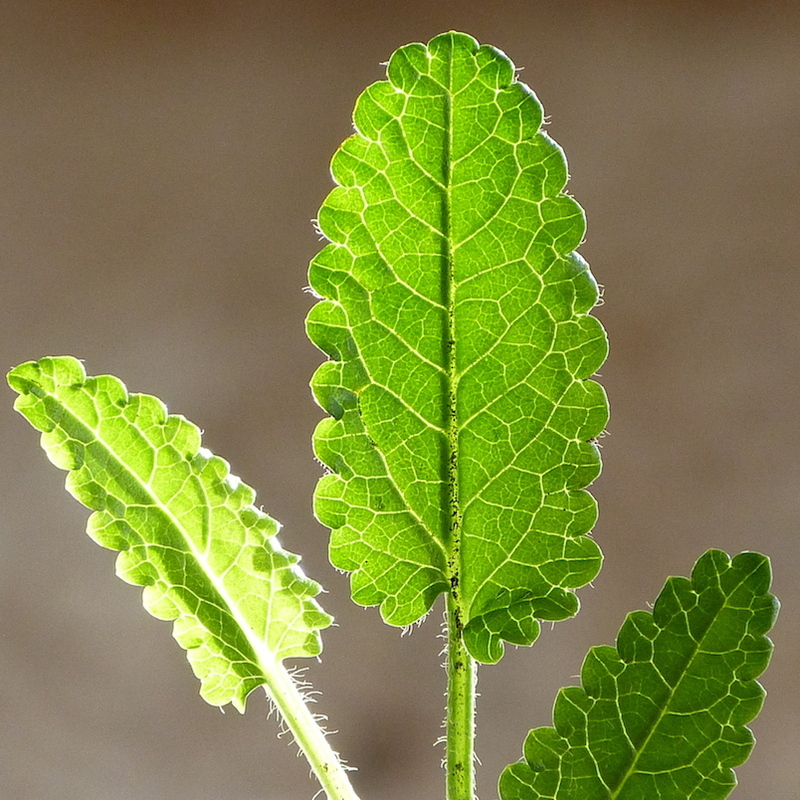 As I unpacked the Wood Betony plant I had ordered, I was amazed to see that it was identical to the mystery plant that grew near my kitchen door. Betony had come to me when I needed it, and had waited, patiently, for me to notice it. 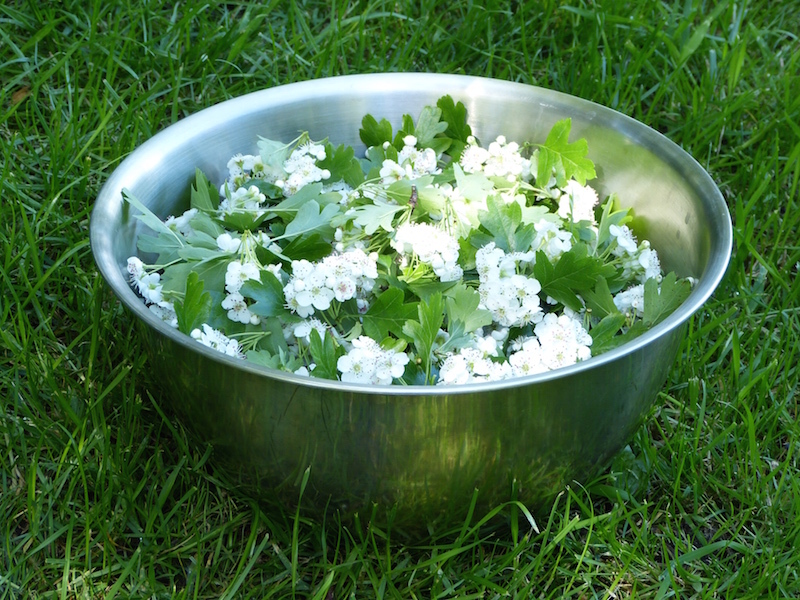 So finally, today, I do something that my herbal medicine teacher, Nina Nissen, taught me a dozen years ago. I do an intuitive tea tasting. First, I study the plant, to notice what I notice. I can see the leaves, shaped like arrowheads or even elongated hearts. I gather a few and bring them indoors. Close up, I can see tiny curved hairs all over the plant. The tiny hairs seem to collect particles from the environment. And yet a rinse under the kitchen tap is enough to clean the leaves completely. I think, not for the first time, how important it is for any sensitive soul to let go of all that they pick up from their environment. Busy places in particular can make me feel exhausted far quicker than Steven, who thrives on stimulation. If I have lots of old energetic debris still clinging to me, I have to do something about it: a rest, a cleansing bath or shower, a dip in my local pool, a session of gardening. Like Betony, I need to let it go. 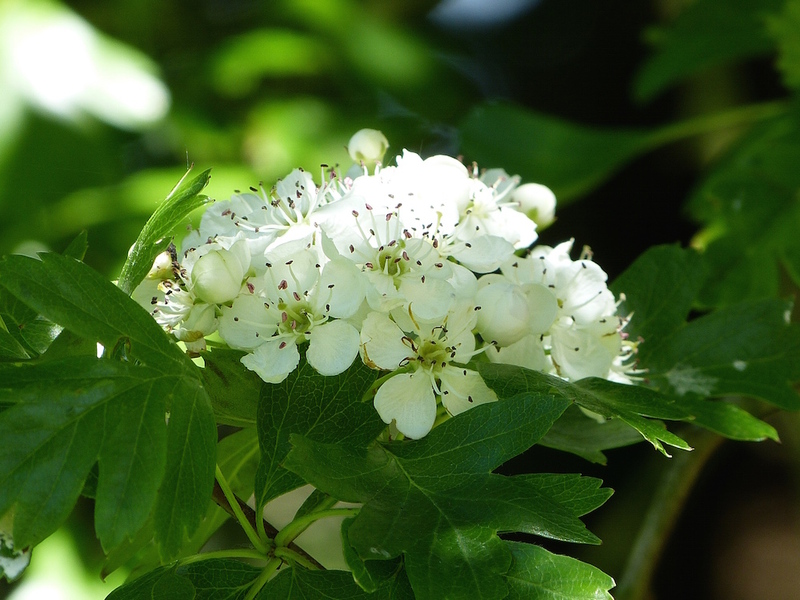 I continue to follow the advice of Nina Nissen, who has written about intuitive tea tasting in her classic book, Teach Yourself Herbal Medicine. I sniff the leaves, and breathe in an earthy, almost musky scent, with fresh green undertones. 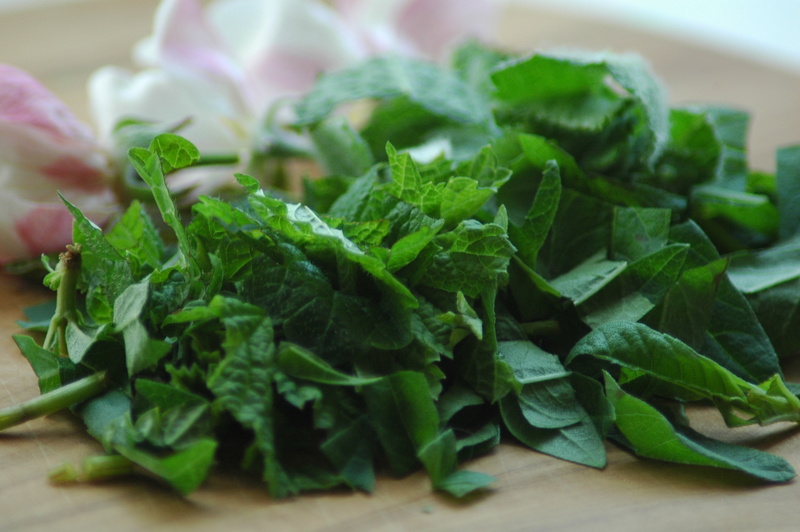 The chopped leaves go into freshly boiled water for three to five minutes. Many herbalists suggest ten minutes or so brewing time. If you are trying to get maximum nutrients, that’s probably a good idea. However, I remember Nina saying that you only need to make contact with the plant. When the tea is ready, I filter it and study it once more before sipping it. The colour is a fresh, delicate green that begins to fade almost as I look at it. The fragrance is earthy. It makes me think of a cottage, somewhere on a damp moor, with a peat fire creating a simple, peaceful warmth. As I drink, the soft texture of the liquid reminds me of marshmallow tea. It soothes my dry throat, and the warmth spreads throughout my core. The taste is not a ‘pretty’ taste. It is more like the taste of Mother Earth, with fresh green after-notes. I am beginning to feel distinctly light-headed. Images of scenes from my childhood and teenage years appear in my mind, one at a time. Alongside these images, there is a tight heaviness in my heart. What would make my heart feel better? Without really thinking about it, I imagine myself as a tiny point of consciousness, able to travel at will within a symbolic version of my body. I go to a control room just behind my eyes. There, I see a mini-version of myself at a big console. She is steering my body. “It’s no use talking to me,” says the mini-me, who looks very busy. “I have to follow the programmes I’m given. If you want to change your direction, you need to talk to the programmers.” And she directs me deeper into my brain, to the programming room. There, I find a small team of mini-me’s behind more consoles. These ones look quite boffin-like, with big dark spectacles. I talk to one of them, who is very friendly. She’s happy to write a new programme for me. We decide the words together and she hands me the completed programme. “You can take this to the navigation room yourself if you like,” says Boffin Me, smiling. So I carry the programme back to the navigation room, and there it is received by the navigator who pops it into her console. “It’ll overwrite the previous programme,” she explains, comfortably. Together, we watch that happen on a big screen. I feel a huge sense of satisfaction. Gradually, I return to my normal awareness. My heart feels less tight now, although I get the impression that changing course is a slow process that can take days or weeks to complete. 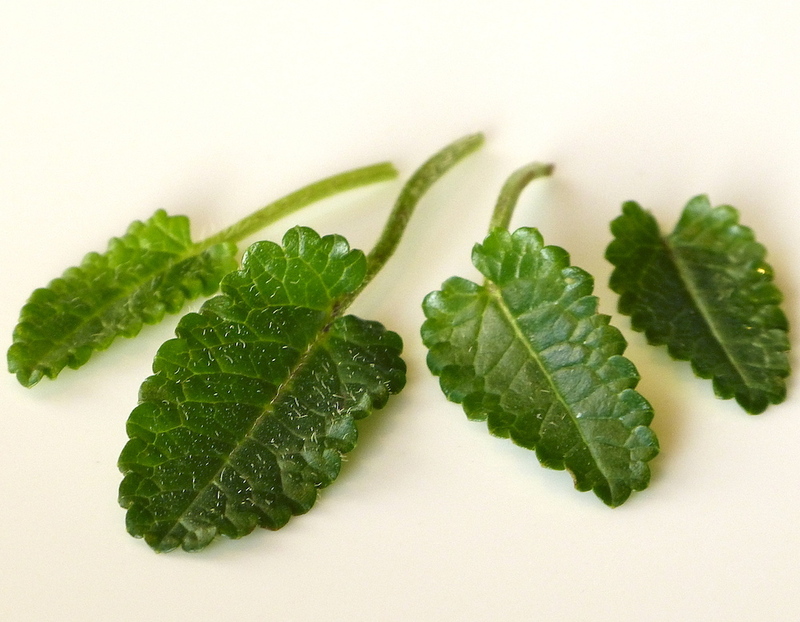 I will be making more Wood Betony tea, though I will probably mix a leaf or two with another fragrant favourite such as spearmint, or lemon verbena. These have healing properties of their own.